New Year celebrations in Thane are exclusive; if you are looking for an amazing celebration to welcome New Year 2014, then you don’t have to go far from the city. 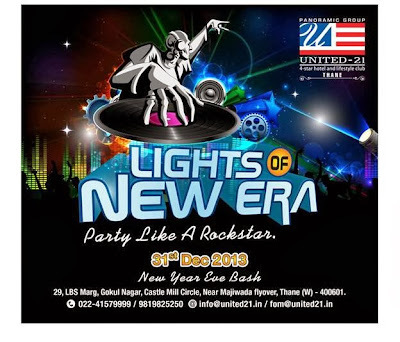 Every excitement and craze of the New Year party is stuffed at United-21 Thane. Do not waste your time in searching for a best venue of New Year party near the city; it’s just a stones throw from Mumbai and Thane. 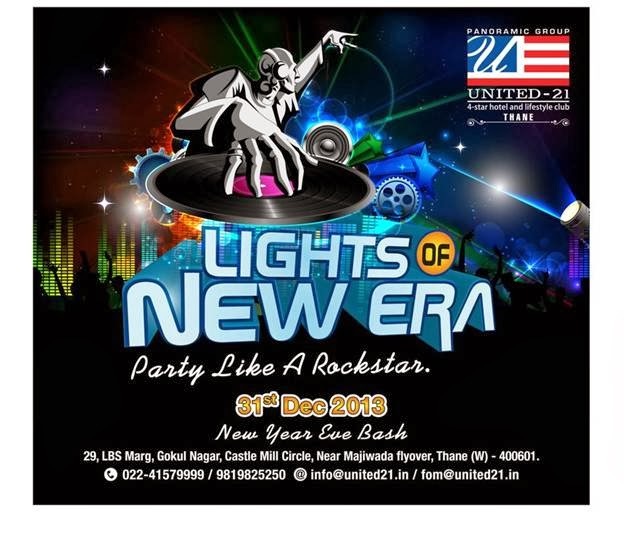 We have packed all the fun making and glamorous activities in a dazzling event called “Lights of New Era” at our hotel United-21 in Thane. It is going to be one of the rocking events of music, dance and mad happenings. There is nothing to worry whether you are accompanied with your family, friends or your spouse, there will be plenty of room for everyone to welcome the approaching New Year in his own style. “Lights of New Era” is a theme offering you the most modern ways of celebrating an event in the background of incredible laser lights, super sonic sounds and the best fusion of latest technology with the traditional concepts. It will be a party for every age and every taste offering a basket of sumptuous food to be swallowed after a glass of wine. The party will be sorted out in different venues and a roof top dinner with an opportunity to show your dancing skills in the most modern discotheque are special attractions. The DJ’s will keep you accompanied till late night or even early morning of 2014, so that you land in New Year in a cheering mood leaving behind all the worst part of the departing year 2013. Unlimited food and beverages will be the base of celebrations. New Year celebrations near Mumbai are awesome and offer large variety. Apart from all this we have many other surprises for you which will be revealed as the party moves ahead to reach the most magical moment of crossing into the New Year. It’s an open invitation for one and all to join this New Year Bash party, titled “Lights of New Year” which will be filled with the most modern way of partying and celebrating the mot auspicious moments of your life. Celebrate 2014 with United-21 Thane for a lifetime experience. Thane is going to rock this year on the eve of Christmas at the various venues to celebrate like malls, hotels, cafeterias, resorts, shopping complexes and many of its leisure lands. This city appears like a paradise, when illuminated by colorful lights and other decorations. With many exciting offers on shopping in some of the reputed malls of Thane, you can go on a shopping spree and grab this beautiful opportunity of shopping branded items for the approaching Christmas. The malls and supermarkets competing in good spirits of Christmas celebrations in Thane will be attracting the populace with their attractive Christmas discounts. Don’t miss the opportunity to witness the fun at different places, which will be backed with rocking music, dazzling decorations and an opportunity to meet Santa. This is not all; there will be Rock show, Magic show, Treasure hunt and a chance to attend various workshops. Markets and Bazaars in Thane have already started gearing up for the coming Christmas feast. Christmas in Thane brings cheers to all age groups basically kids have lot of fun to experience at the resorts and fun cities. Main focus of celebrations will be hotels in Thane. Hotel United-21 is one step ahead in preparations of Grand Christmas celebrations at its four star amenity in Thane. We have organized number of events, shows and fun for the kids throughout the Christmas season. It is the right time to confirm your booking for Christmas celebrations 2013, since the crowds have already started knocking at the online booking facility of the hotel in Thane. 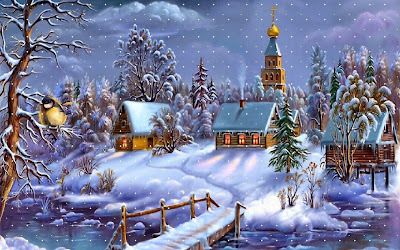 The fervor of Christmas celebrations at United-21 Thane will conclude with a grand party on New Years Day. We can assure you that it will be one of the grand Christmas events in thane.